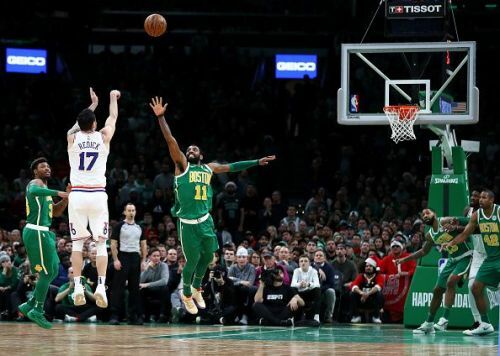 Boston Celtics sneaked in a close victory against the Philadelphia 76ers in a highly competitive and exciting basketball game. The final scoreline at the buzzer was 121-114 in overtime, in favor of the Boston Celtics. 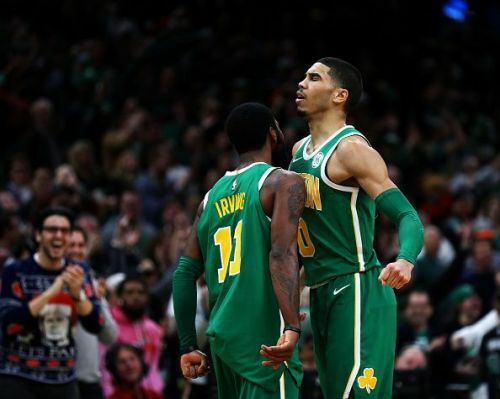 With this victory, the Celtics have now won 2 in a row but are still at 5th position in the East, while the 76ers have a record of 22-13 and are at 4th in the Eastern Conference playoff rankings. In this Christmas Day thriller, both teams came out strong and kept firing from all cylinders from both the sides. Both of them were not showing any signs of stopping, and their best players were determined to win this one for their respective teams. The Celtics badly needed this victory to keep building their momentum for a top seed in the East. The Philadelphia 76ers racked in 56 rebounds while the Celtics were just 1 behind with 55. It was a good performance for them on the boards. It’s no hidden fact that they’re naturally a good rebounding team, as they’re ranked 5th and 10th respectively on the total rebounds per game in the whole league and this reflects in the kind of dominance that they have in the league and why they’re considered as one of the contenders. For the 76ers, Embiid and Simmons got 16 and 14 rebounds respectively, while for the Celtics Kyrie Irving and Jayson Tatum put their bodies on the line and grabbed 10 rebounds each. It was a good performance from both the teams on the boards and one of the biggest reasons why this was such a tight and competitive game.